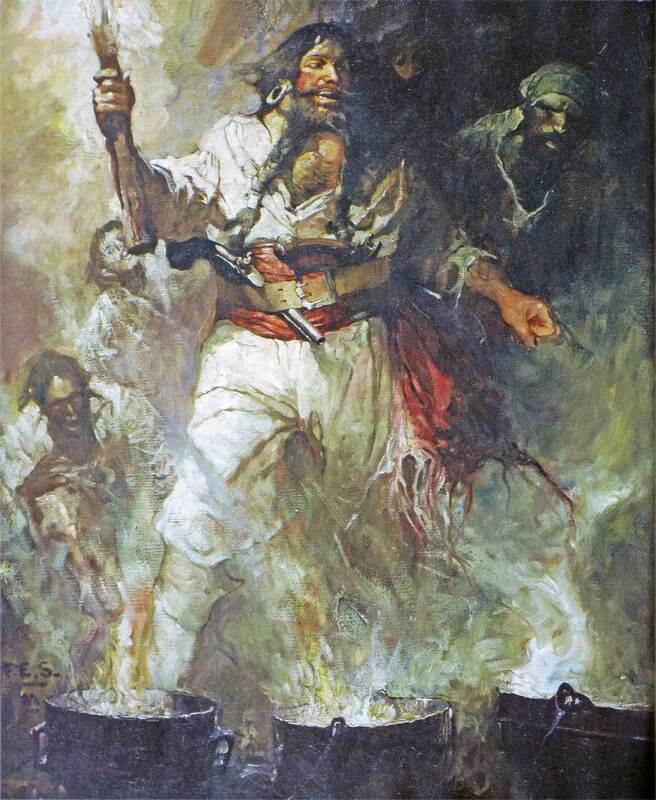 Pirates & Privateers : How old was Blackbeard when he died? Question of Anonymous (04.15.2016): How old was Blackbeard when he died? A: Blackbeard would have been about 38 years old when he died; his exact birth date is unknown, but it is around 1680. He died on November 22, 1718 in a violent struggle against Lieutenant Maynard of the Royal Navy. Who was the cruelest pirate? And who was the fairest? What is the black spot? Could you display a picture of a flintlock pistol?